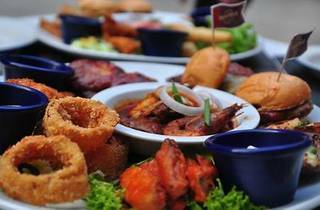 Savour your favourite western food this Ramadhan. 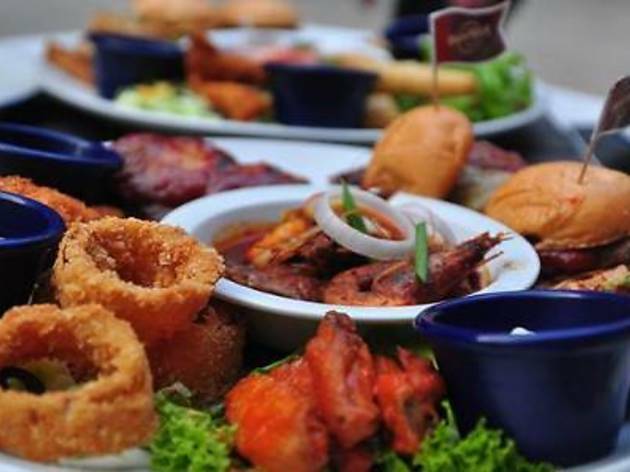 Start off with the soup of the day before wolfing down Hard Rock's HRC buka puasa platter (consisting of potato skins, buttered rice, Santa Fe spring rolls, Tupelo chicken tenders, mini cheese beef burger, chicken curry with potatoes, mini shrimp quesadillas and hickory-smoked barbecue beef briskets). End your meal with a dessert of apple cobbler with vanilla ice cream. This menu rotates on a weekly basis. Call for more info on the week's menu.